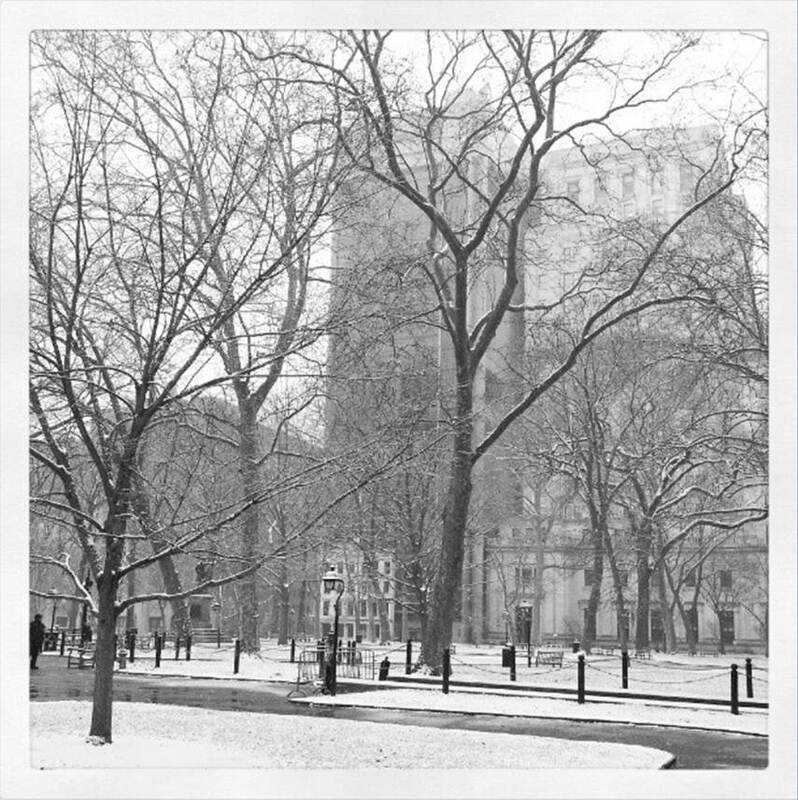 Hey there friends – and Happy 2013 to you all! Christmas was awesome – a full day of family time and good food. My family always picks a movie to see together – so the winner was Les Miserables. We laughed. And cried. I think the hubby was just happy my Biffer and I didn’t sing along the entire time. Then, we had to take down Christmas – the saddest thing ever. But, we were leaving town, so we didn’t want to come home to sad pile of needles hanging out under some barren branches. We headed up north for my best friend’s new year’s eve wedding! The husband is a huge history buff and had never been to Philadelphia, so we went up a little early and spent some time downtown. 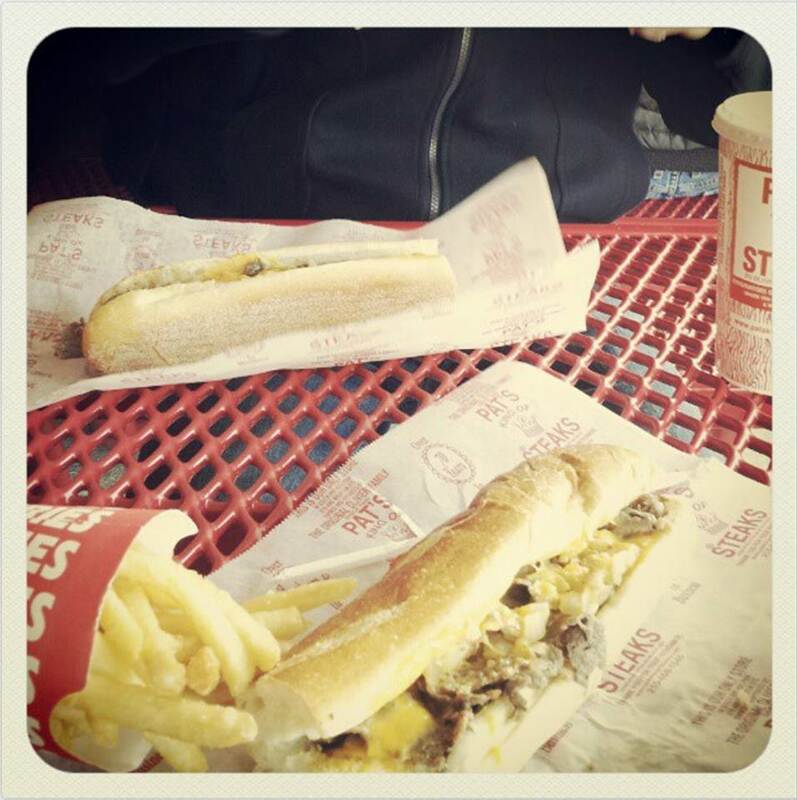 We ate a cheese steak. We braved the snow to tour Independence Hall. And of course, we ran walked briskly up the art museum steps with the “Rocky” music playing from my phone. Such tourists, I know. The wedding day was a full day of fun – and I have never seen a bride so full of joy! She was absolutely radiant and I was honored to be a part of such a special day. I made it through a reading and a speech without crying (I’m a crier) or throwing up (public speaking and I don’t get along). And I got to ring in 2013 with some of my best friends! The husband got sick the day of the wedding, so he barely made it to the ceremony and skipped the reception all together. We got home, and then I woke up sick the next day. Miserable I tell you. So between Christmas and today, it’s been a lot of fun, some sickness crud, and catching up from the fun and the crud. Sunday, I finally felt normal and was able to sit down and plan a menu. A menu that would maybe help me lose some all of those pounds I put on over the holiday season (you know, that time from like mid-November until January 1-ish). I figured with the flu that’s floating around, what could be better to share with you than a delicious soup that’s also good for you? 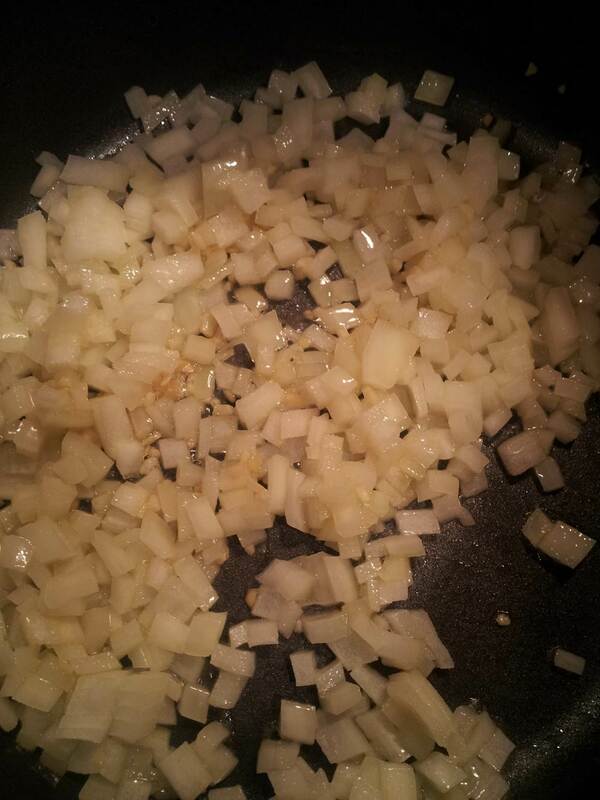 In a large stockpot, saute the onions and garlic in the olive oil on medium-low for 3-4 minutes. Add red pepper flakes, thyme and lemon zest and stir. Cook another 3 minutes. 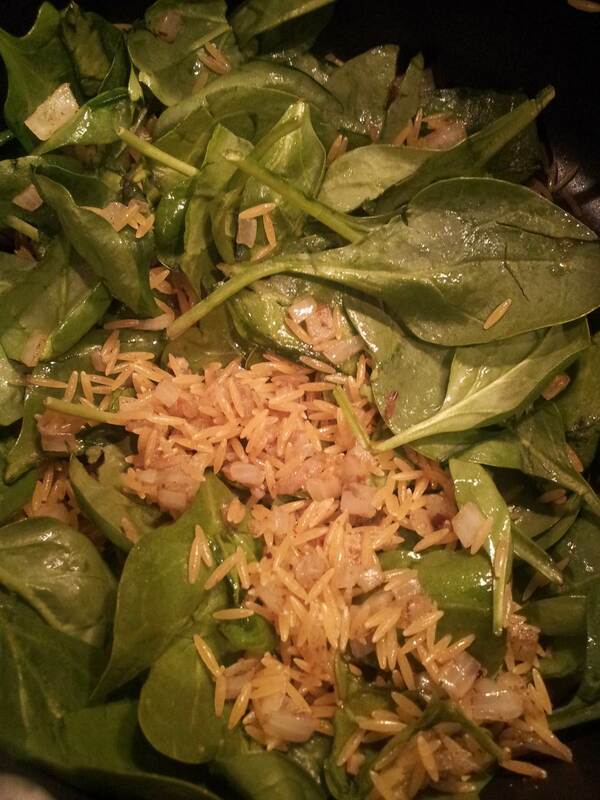 Turn heat to medium and add orzo and spinach. 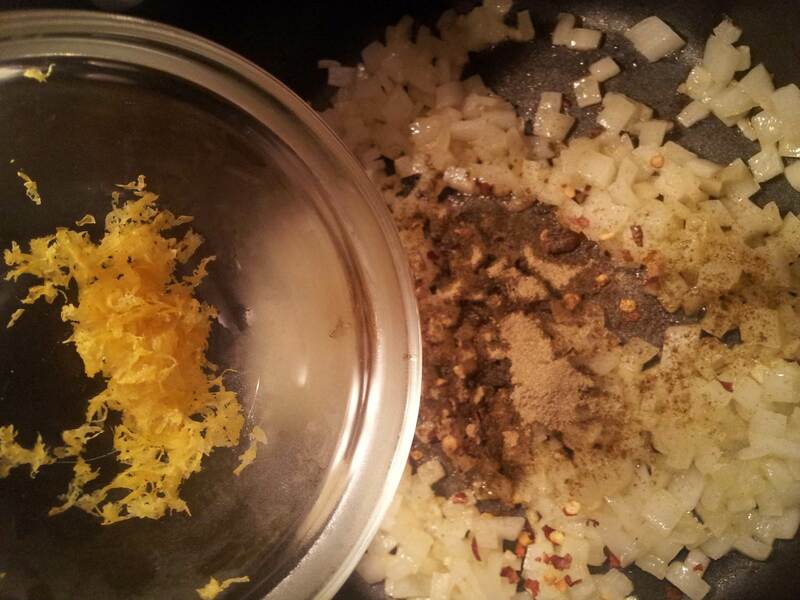 Stir to coat in seasonings. Pour in broth and lemon juice and stir well. Whisk together cornstarch and water in a small dish and set aside. 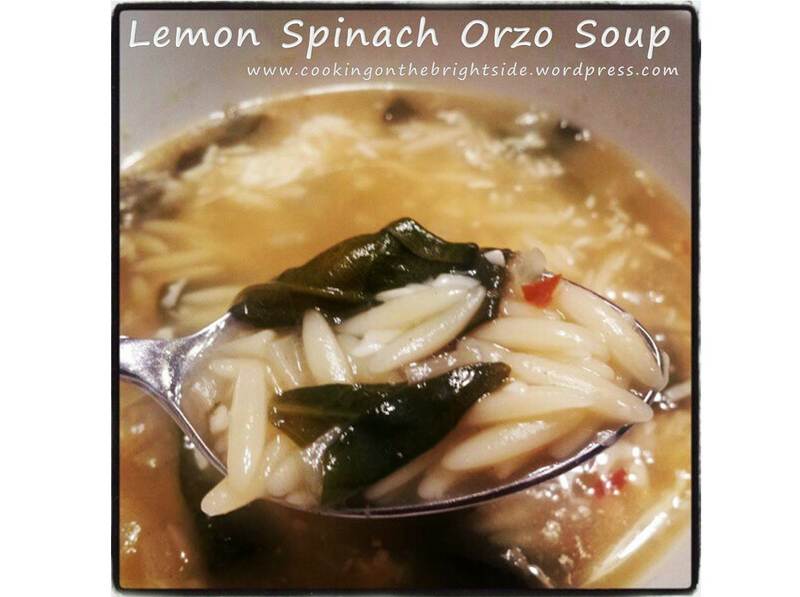 Cover the soup, reduce heat to medium-low and bring to a low boil for 12-15 minutes, until orzo is tender. 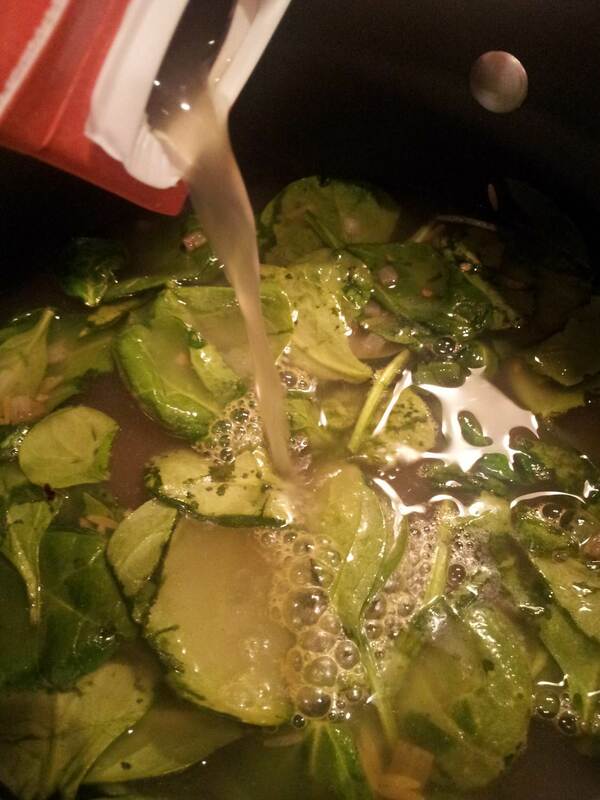 Stir in cornstarch mixture and reduce heat to low, allowing the soup to thicken slightly. 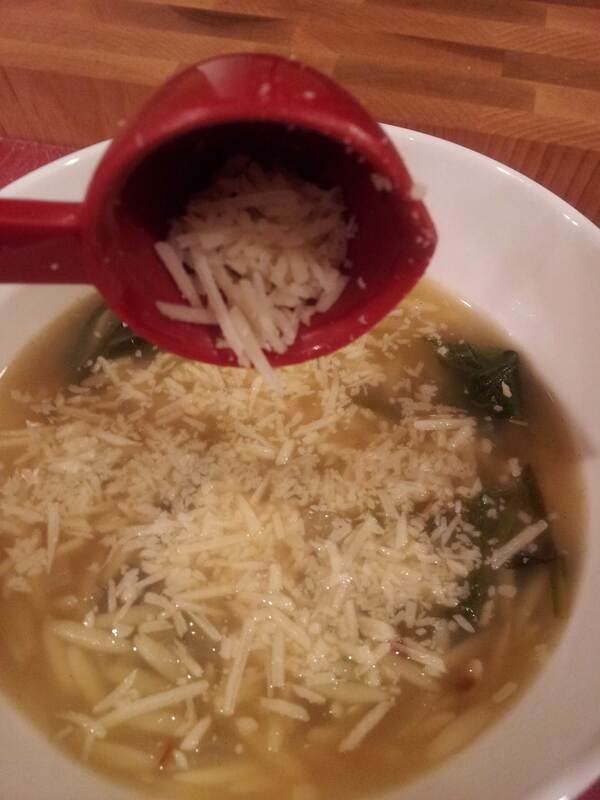 Pour soup into bowls and top with 1 Tbsp. shredded Parmesan cheese. We paired a bowl of soup with a small Panini for dinner the other night, and it was truly a delicious meal. 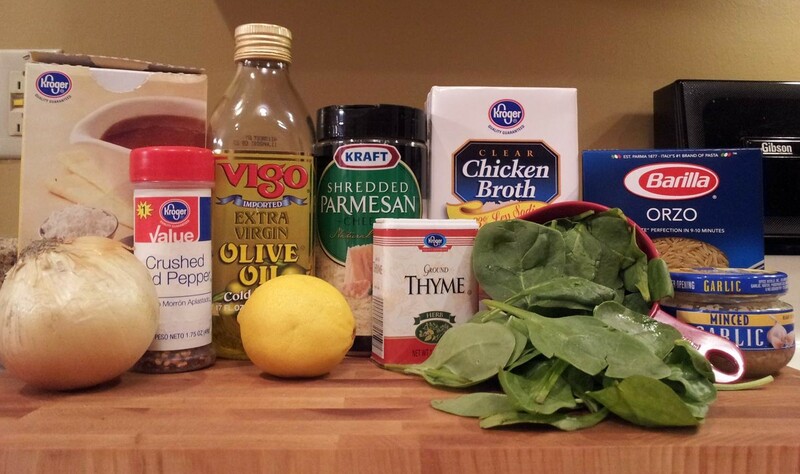 Awesome comfort food if you’re a little under the weather or just need something to warm you up a little!